Three Girls In The Morning | Jorge Bennett, Composer. 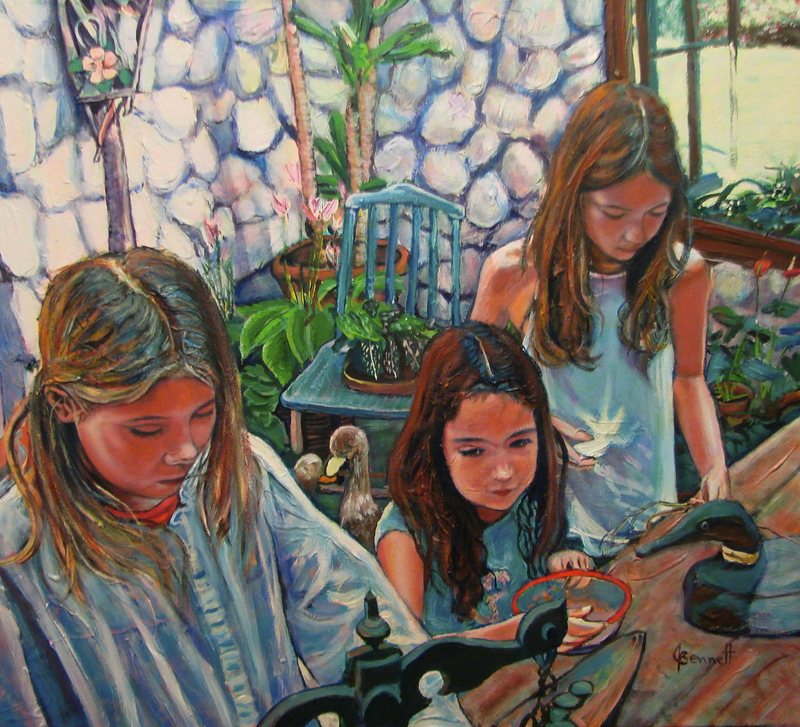 This is a portrait of three nieces of mine at uncle’s Dicky’s country house in “La Mesa”, a plateau behind Mount Gaital right outside El Valle. I took a picture of them in the morning (my nieces) without them being aware, and then made the painting based on the photo. I was lucky to be able to capture this scene with the lovely natural expressions they have in their faces.